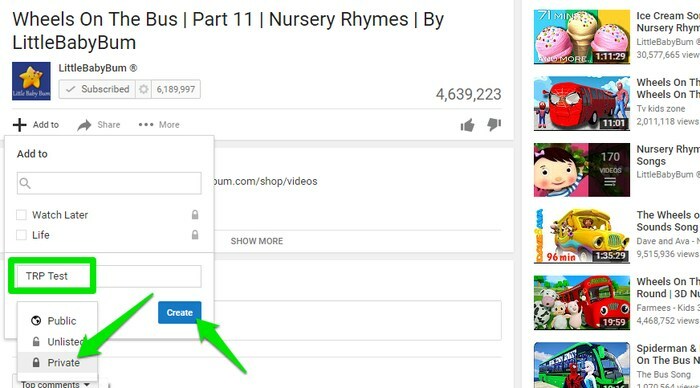 YouTube offers an interactive interface to play videos and easily find videos you need. It makes accurate suggestions and offers continuous entertainment by loading a new interesting video at the end of the current video. Although this might be entertaining, what if you liked the video and would like to watch it again? In other words, what if you wish to repeat YouTube videos you watched just now? Furthermore, you may also like to put a video in a loop to watch it again and again. For example, you may like to listen to your favorite song or maybe you would like to put a lullaby on repeat to help your kids sleep. Unfortunately, YouTube doesn’t have a convenient button to a put a video on infinite repeat. Therefore, time and again, you’ll find yourself lost when trying to repeat YouTube videos. Although, some workarounds can help you repeat YouTube video and even repeat multiple YouTube videos. In this post, we will list down three different methods to repeat any YouTube video with all having their unique advantages. 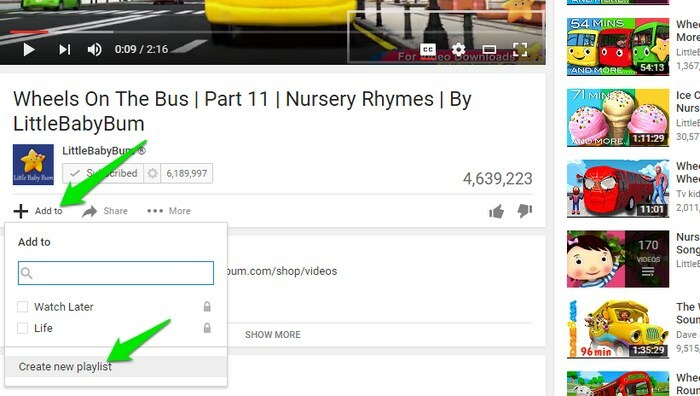 If you quickly want to repeat a video, then YouTube offers a Replay button to see the video again. It may not let you automatically repeat videos, but for quickly repeating it is a good option. As soon as a video finishes playing, the Play/Pause button will turn into a “Replay” button. Just click on it and the video will repeat. This method is handy and doesn’t require any prior setup, but you will have to press the button every time manually. You might not be able to repeat a standard YouTube video automatically, but you can still automatically repeat videos in your YouTube playlist. It will enable you to put multiple videos in an infinite loop or just add a single video to repeat continuously. To create a playlist, click on the “Add to” button below the video which you would like to add to the playlist. From the menu, click on “Create new playlist” and give your playlist a name. Make sure you make the playlist “Private” from the drop down menu; otherwise, other people will be able to see your playlist. Once you click on create, a new playlist will be created with the selected video in it. Use the same process to add more videos to the same playlist (if you want to loop multiple videos). Once you are done adding videos, click on the YouTube’s main menu button on the top left side and select the playlist you just created. On the playlist page, click the “Play all” button and the videos will start playing with next videos show on the right side. 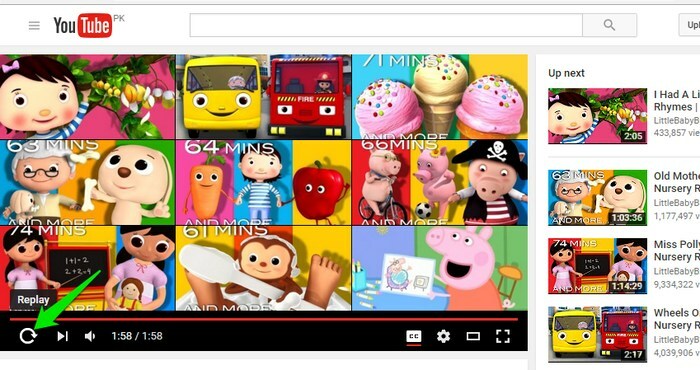 Here, click on the “Repeat playlist” and the playlist will keep repeating once all the videos in it have done playing. It is handy in repeating multiple videos, but you can also use the same process to repeat a single video. All you have to do just put a single video in the playlist and use the “Repeat playlist” button to put it in an infinite loop. The YouTube video will start playing in the InfiniteLooper interface. The video player provided by InfiniteLooper is borrowed by YouTube as well, so you should have no problem getting used to the interface. You can also loop a particular part of a video by adjusting the blue sliders below the video, and you will not find this feature on YouTube. 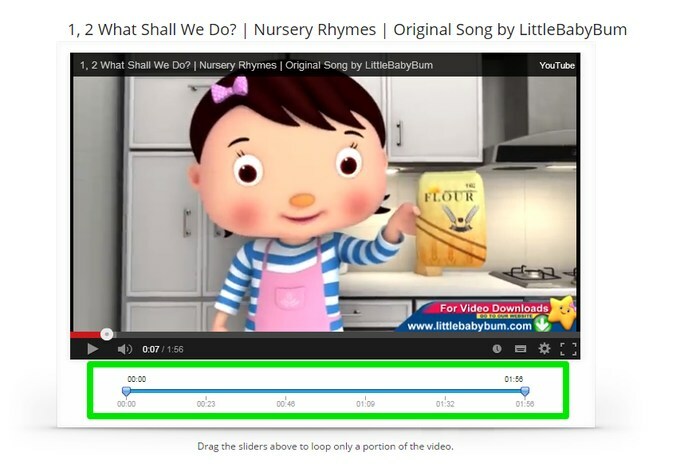 Repeating YouTube videos is a great way to enjoy your favorite video continuously. Although it would have been great if YouTube offered this feature in the standard video session, you can use the above methods to enjoy this feature. You can repeat YouTube videos using YouTube as well, but if you want more features than the default, then a third-party service will be a better option. 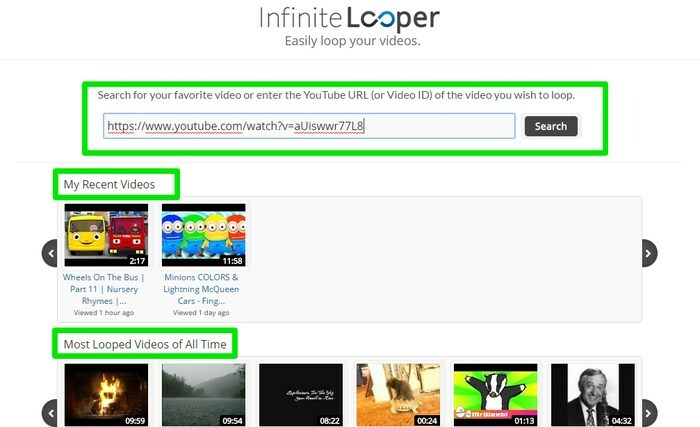 For example, on InfiniteLooper you can also loop a specific part of a YouTube video. How to Blur YouTube Videos to Easily Hide Things in YouTube Videos?